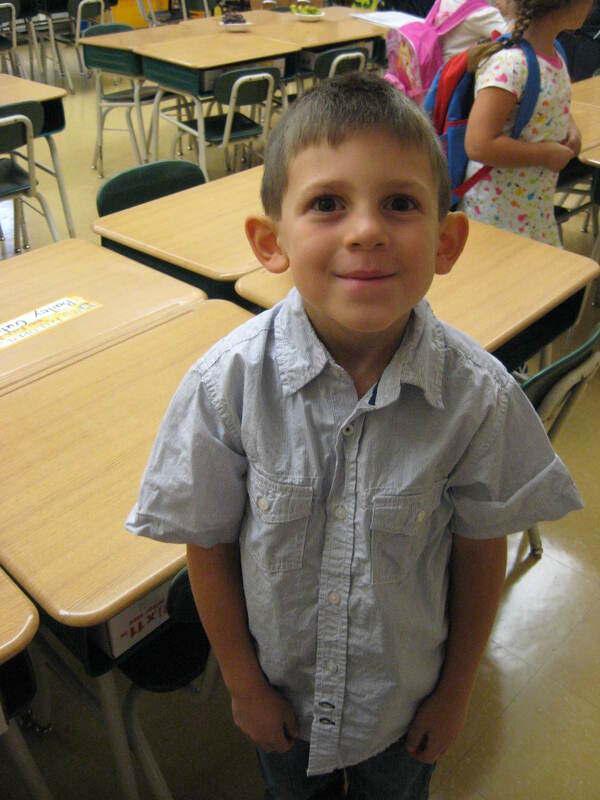 Little Man started first grade yesterday! Here is my handsome man at his desk. I sure do miss him! I hope everyone has a wonderful school year! 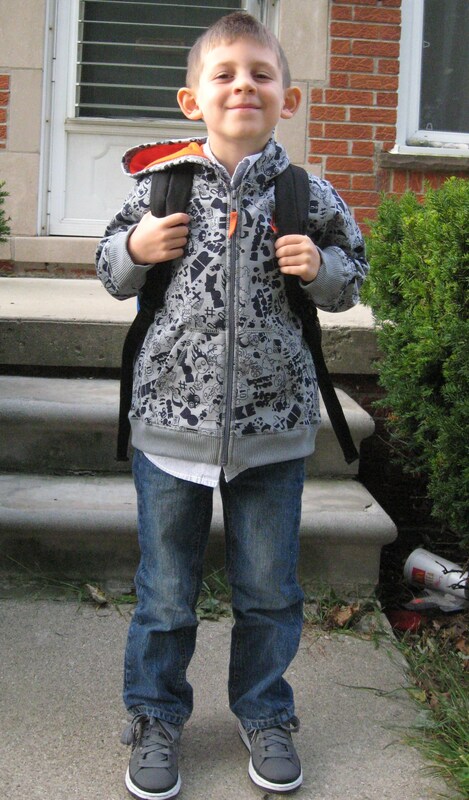 Look how grown up he looks heading off to first grade! He looks really excited too. I hope he has a great year. And good to see you’re back in the blogging world, Myriam!